Our Vans Waffle Sole iPhone case arrived today and it’s like a shoe for our phone. The case, which appears to be all silicone, slipped right on. It is not a rigid, snap on case, but it hugs the phone nicely. We were worried that the case would make it difficult to slide the phone in and out of our pockets smoothly, but so far that has not been a problem. 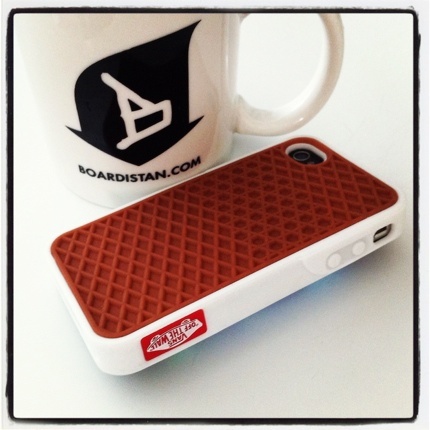 The cases are currently out of stock in the Vans store, but you can keep checking. We don’t really know why we’re so into this case, but we are. And judging by the traffic these posts are getting, we’re not alone. Follow the jump for the topside view featuring the signature black foxing stripe. . .
…and coffee mug. good stee…. Dude, does it smell like Vans too? IS THE WHOLE WORLD ON DOPE ???!!!???!!! nice! the Vans Santa must love the Editors! Will they make this case for Samsung galaxy s2? 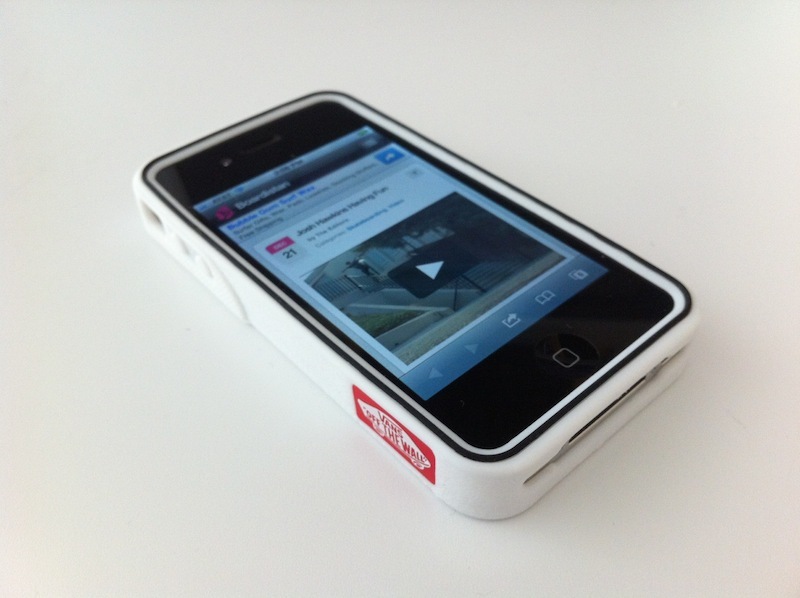 Will they make this AWESOME case for iPod touch?? ?